A law does not determine the form and the being of a creature. It is the other way around. Laws are formulated by a designer, to preserve and discipline the existence, the movements, the symbiotic relationships, and survival of integral extant things. Nature has laws, and laws did not create nature but the Creator of nature predetermined its laws. For if you have been cut from what is by nature a wild olive tree, and grafted, contrary to nature, into a cultivated olive tree, how much more will these natural branches be grafted back into their own olive tree. Scientific knowledge nowadays, have realized the potential harm that can be caused by harsh human intervention in nature. 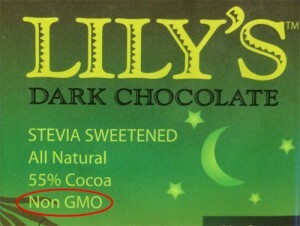 Notice the emphasis of these products on non-GMO, for example. -(8)Soy allergies skyrocketed by 50% in the UK, soon after GM soy was introduced; (9)The stomach lining of rats fed GM potatoes showed excessive cell growth, a condition that may lead to cancer. Studies showed organ lesions, altered liver and pancreas cells, changed enzyme levels, etc. Unlike safety evaluations for drugs, there are no human clinical trials of GM foods. The only published human feeding experiment revealed that the genetic material inserted into GM soy transfers into bacteria living inside our intestines and continues to function. This means that long after we stop eating GM foods, we may still have their GM proteins produced continuously inside us. If the antibiotic gene inserted into most GM crops were to transfer, it could create super diseases, resistant to antibiotics. If the gene that creates Bt-toxin in GM corn were to transfer, it might turn our intestinal bacteria into living pesticide factories. Although no studies have evaluated if antibiotic or Bt-toxin genes transfer, that is one of the key problems. 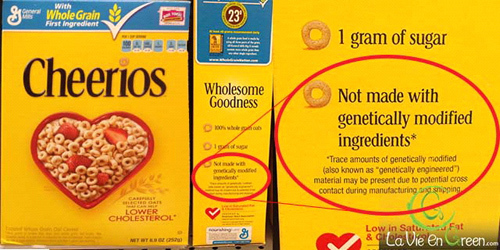 The safety assessments are too superficial to even identify most of the potential dangers from GMOs. Ye shall keep my statutes. Thou shalt not let thy cattle engender with a diverse kind: thou shalt not sow thy field with mingled seed: neither shall a garment mingled of linen and woolen come upon thee. The injunction is not to mix! And when there is an injunction, there is a purpose – to the best of man. Nature is governed by laws but nature has not the capacity to formulate the law of nature. How can something that will exist, before its existence determine the law it will follow during its existence? Someone superior in knowledge and strength, someone above nature, a supernatural, called in the Bible “God,” ordained the laws of nature. Obviously, the interdependence of living creatures upon each other is formulated by a Designer. It is absurd to think or hypothesize, for example, that evolution or natural selection formulated the symbiotic benefits being derived by humans from the billions of bacteria that thrive within human alimentary canal! It is purposed by the Designer of life. No way could it be otherwise. My eyes are located in a place where they can be most efficient to serve their purpose: to see. It was placed by the Intelligent Designer at the front because the most convenient way of mobility is to look forward where you are heading to. And if you want to see what is at the back, you can simply turn around easily, or you can use a mirror or a camera! How awkward it would be if the eyes of an atheist were placed at the back of his head. 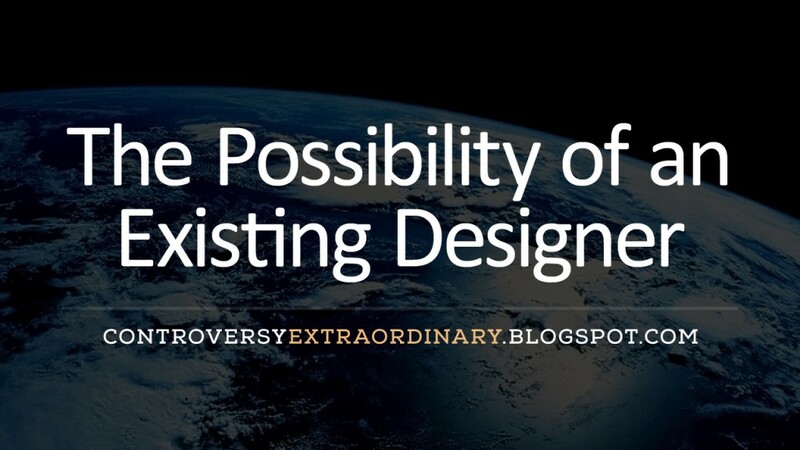 That’s laughable but it’s a possibility – without an Intelligent Designer! Mathematical exactness cannot be determined by mutation and evolution. Mutation, as science knows it, is a kind of accidental mishap. How can it be logically and scientifically possible that the billion cells in the human body have exactly 46 chromosomes each – if there is no designer? 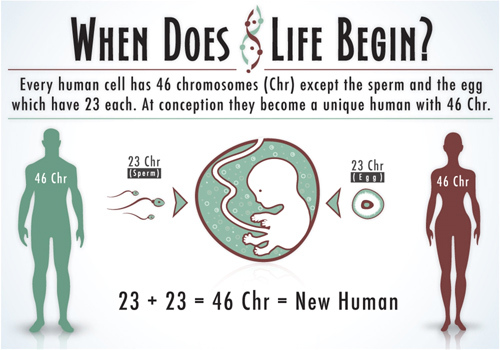 Take note that with the exception of the sperm cell of a male person having only 23 chromosomes and the egg cell of a female person also having the same number, the combinations are necessary to make up 46 chromosomes that will start a new cell life – an exact one half coming from the father and an exact one half coming from the mate, having the exact number, and exact codes of information to pass on character traits to the offspring. The idea didn’t go over very well with the public. Darwin was so embarrassed by the ridicule he received that the swimming-bear passage was removed from later editions of the book. The term random mutation is unacceptable to a real scientific mind! At the same time it is squarely unbiblical! I know that, whatsoever God doeth, it shall be forever: nothing can be put to it, nor any thing taken from it: and God doeth it, that men should fear before him. Scientifically, all living things have DNA and genes – unknown to Darwin – that protect and preserve a definite species! God meant living things to produce its kind perpetually. “If numerous species, belonging to the same genera or families, have really started into life all at once, the fact would be fatal to the theory to descent with slow modification though natural selection.” (Ref: Charles R. Darwin, ”The Origin of Species: The Preservation of Favored Races in the Struggle for Life’ A Facsimile of the First Edition, Harvard University Press, 1964, p. 302). While it is true that mutation happens among living things, random mutation is likely impossible in the vast periods of time that have passed. The perpetuation of a particular species is dictated and preserved in the DNA. So pollution, radiation, and harmful chemicals that may cause mutations are not as common and extant in the distant past when allegedly evolution started as it is nowadays! More so, random mutation! Hence, 23 plus 23 equals 46 cannot be a formula determined by random mutation. I must emphasize that even the godless Darwin said that “It is absurd to think that the human eye is formed by natural selection!” Darwin is much, much, much, much, much better in thinking than atheists of today! The condition recorded in the Bible after creation is: Situation is very good! There were no harmful man-made chemicals, no intermittent radiation in the environment caused by man’s invention such as microwaves, cellular phones, electrical appliances, etcetera, which can be possible causes of random mutation, why? Because the situation is very good! This is Part 5 of Possibilities and Impossibilities in the Bible. More to come, God willing.